Even in 2006, the HSV tuner introduced the fastest pickup in the world, which set the Guinness World Record. 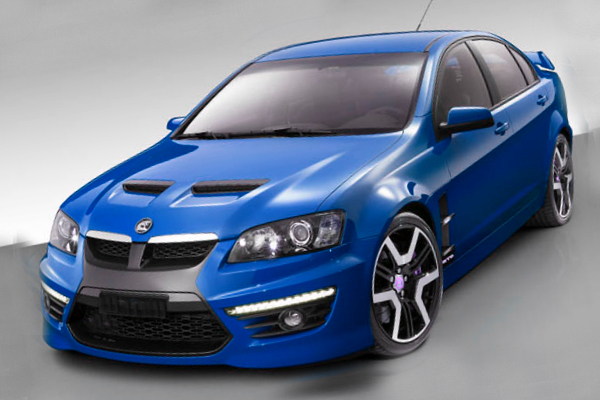 It was the Maloo R8 based on the Holden Commodore. The Maloo R8 got the speed of 168.66 mph that allowed to leave behind the Dodge Ram SRT-10, which set the record in 2004 by accelerating the speed of 154.59 mph. Currently, HSV is working on the new Maloo, which has to smash the previous record. The novelty will be equipped with the LS V8 of General Motors. That powertrain was found in the Chevrolet Camaro ZL1 and the HSV GTS. The GTS sedan is equipped with the 6.2-liter V8 supercharged unit, producing the output of 580 horsepower with the torque of 545 lb-ft. The top speed is 174 mph, the acceleration takes 5 seconds from 0 mph to 60 mph. It is planned the new Maloo will have similar performance. Moreover, the Maloo GTS will be equipped with some updates such as the launch controlling system, Magnetic Ride suspensions, tail shaft and the high-strength differential, gearbox’s cooling. Besides, the novelty gets AP racing brakes and 20-inch wheels. The carmaker plans to produce just 150 cars, when the Holden Commodore will be launched in 2017. We would like to remind you, the previous model Maloo R8 has the LS3 V8 powertrain of General Motors, which produces the power of 435 horsepower and the torque of 405 lb-ft.